A CENTRAL is the best division not only in the Shore but the state as well. This Division could have 4 teams ranked in the TOP 20 and 6 in the Shore Top 10. This division is a division that awaits death to all and it’s written at every turn. So enter each game at your own risk. It’s impossible to call it a super division because SJV is not in the division. This division has 2 leading Candidates for Shore Conference player of the year. There are 4 D1 transfers who have put up massive numbers. The conference has so many stud babies, it would take forever to list. This conference has it all, including a whopping 16 Division 1 players. They have multiple coaches who have won a SCT and TOC. This is the division of TRUTH… you will find out everything you need to know about a TEAM or PLAYER… their will be no questions in the end. Everyone will be asked to put up or shut. There is nowhere to hide in this division. 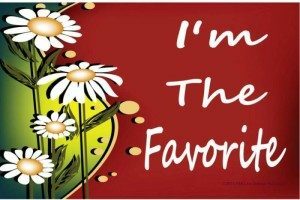 Picking the Favorite in A CENTRAL is almost an impossible task. They say to be the champ, you have to beat the Champ. For that reason MANASQUAN will start the year as the favorite. The amount of talent that Lisa Kukoda has had to work with in the past has been special. She has taken real advantage of this talent. She has had the best start by a High School Coach in girls basketball history. She has appeared in 3 straight TOC finals, winning two. She has also won 2 SCT titles. If the truth be told, she could retire right now and be on the Mt. Rushmore of Shore coaches. This year, she returns two of the best in the state. LOLA MULLANEY and FAITH MASONIOUS are the best one -two punch in New Jersey. She has a number of impact babies and this team has a winning culture. 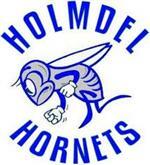 They will fight tooth and nail to win A CENTRAL. DARA MABREY was the State and Shore Player of the Year. She is one of the greatest players in Shore history. Replacing her scoring should not be a problem. Replacing her leadership, competitive nature, intimidation factor and big game preformance…FORGET IT! CARLY GEISSLER and EMMA MENAHAM were special and exceptional role player. Both were very experienced and will not be easy to replace. LOLA MULLANEY the senior is the most disrespected star in Shore history. This will be the first year, she will enter the season, not being asked to sacrifice her game or pride. The Harvard bound guard is a walking time bomb. She is capable of blowing up at any moment. Her record 43 points in the fall league was a great example. She is the most efficient player in the state by a longshot. What should scare opponents is this, she will get more touches and shots this season. A frightening thought if you are not wearing a Manasquan uniform. She has made more game winning shots and plays than anyone in the Shore. This year, she will need to play point guard at times and once again guard post players when called upon.. The best in traffic, rebounding guard in the state, averaged 16.0 points and 7 rebounds with 35 steals, she will be a leading candidate for PLAYER OF THE YEAR. FAITH MASONIOUS are you asking the same question I am asking?…how can she still be around? The answer is yup, she is still around and the Maryland bound senior is set to have a monster season. It will be the first season she enters the season, injury free. She presents a package that is almost unmatched. Her ability to score in the post, from the arc, off the bounce, on the offensive boards and in transition make her one of a kind. She was first Team ALL STATE. The bigger the game and the bigger she played. Insanely unselfish and an elite passer. 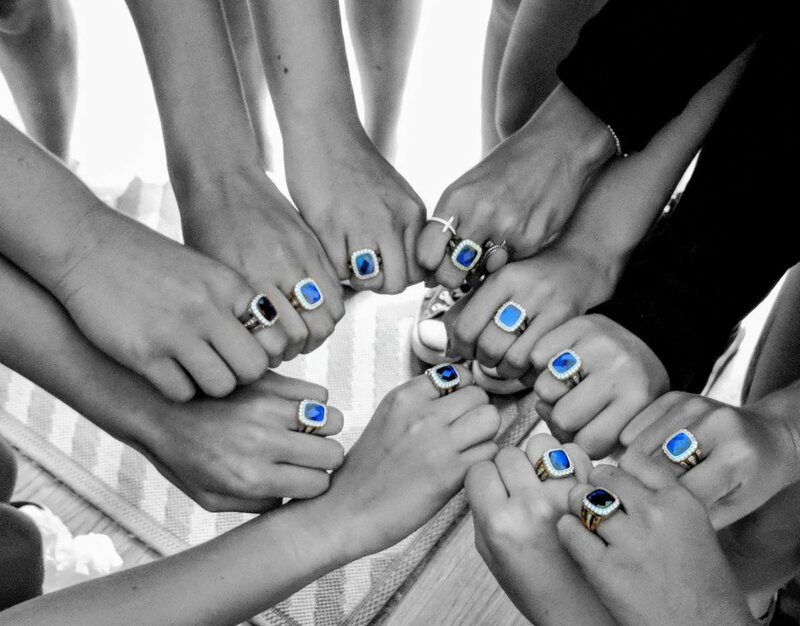 Everything for Manasquan will run through her hands. She is the ultimate leader and most competitive player in the division. This year she will play every single position on the floor at times. 18 points..11 rebs and 4 asst last year, need I say more? She is a leading candidate for player of the year. She will go down in history as one of the best players in SHORE HISTORY. ANNIE MAKO is the ultimate teammate. She has played her role to a “T” in the past 3 years. She has been willing to sacrifice her game for the better cause. She has been used as a role player, who can defend and make shots like last year, when she make a huge three to help defeat St. Rose. This year she will step in to a prime time role. She will be asked to do what everyone in the Shore already knows she can do, get buckets. Mako is a talented shooter who can get to the rim. She has played against the very best competition. No surprise, she chose to attend D3 NATIONAL POWER MONTCLAIR STATE UNIVERSITY. She is an excellent baller hander and mega underrated passer. She can get out in transition or play a grind it out half court game. She has an elite IQ. Mako has played in big games, nothing will shake her. This year we will see a player who just may BLOW UP! KATE LETURGEZ while everyone is focusing on the St. Rose transfers. Manasquan may have picked up the biggest transfer of all. She was on THE HOOP GROUP ALL FRESHMAN 1st Team. She averaged just under a double/double as a freshman. She is 100% recovered from ACL surgery. The future D1 lock, is a total warrior and will bring a toughness to the Manasquan lineup. She is a big time rebounder who can start the break with a pass or off the dribble. She is excellent passer and will get on the offensive glass. She is a big time defender and plays with reckless abandon. She could have the biggest impact of any new player entering the division. She will step into the starting lineup. She fills any holes on rebounding , defense, secondary scoring and experience. This is All Shore type player and her resume speaks VOLUMES. 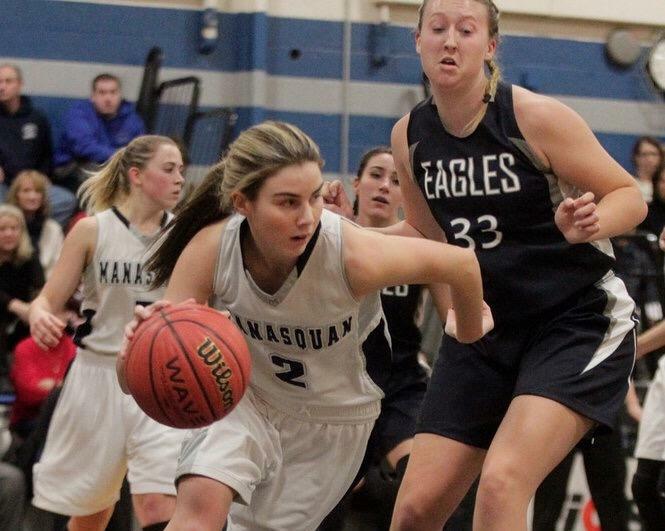 MADDIE FAGAN the junior becomes a major pickup as well for Manasquan. She can play the point and handle pressure. She has a high IQ and she is very competitive. She also gives Manasquan defense and scoring from the point guard spot. She will also give Manasquan a HUGE upgrade in the decision making department. There is no other way to say it. She just might be the key to Manasquan’s season. The point guard position is a issue and FAGAN just may be the solution. She has played on big stages and played against high level AAU..
ALLISON WATERS AND MACI BLACK both are currently recovering from ACL surgery. This is a major blow to this team. Black is expected back at some point this season. This is big for Manasquan as Black played a major role off the bench last season. It was expected the talented guard would assume the starting point guard position. She is a classic point guard. She takes care of the ball, gets the ball to the right people and can make shots when left open. Getting her back in the lineup is absolutely necessary for Manasquan. When she will return is not clear. 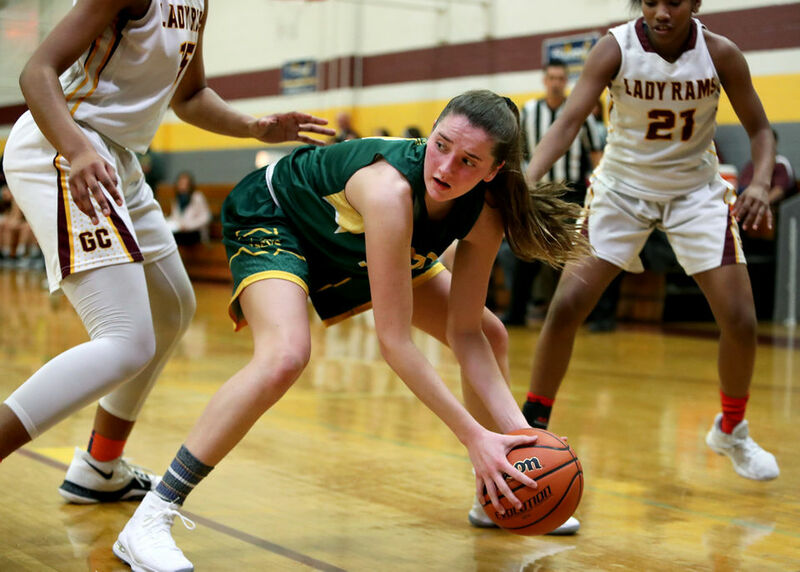 Once thing is clear, she is a winner and another unselfish player…just like her sister who also won a SCT AND TOC RING….Waters is out for the year. Her shooting and experience against high level competition will be missed. She was expected to fight for a starting spot. KATE MONTALTO, RYAN McCARTHY, SHARON MARKS and ABBY O’SHEA all played limited rolls last season. This year their is real opportunity to make a mark on this year’s team. They have a group of babies who will need to deliver. No ELITE team will be counting on there babies more. 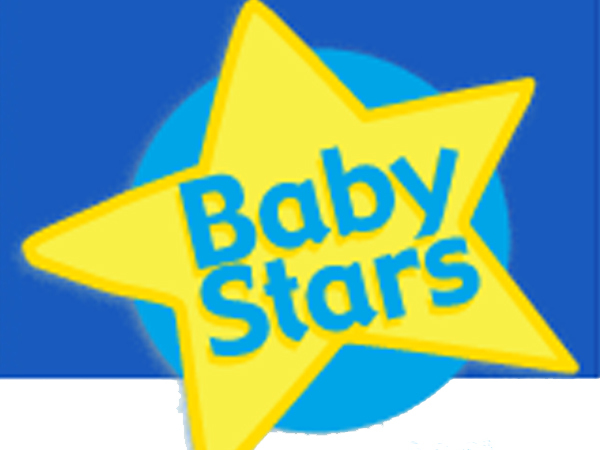 If there babies step up MANSQUAN could be a difficult team to dethrone. DOROTHY LOFFREDO will play a major role this season. She is a competitive pit bull and future D1 lock. She got in the gym vs killers this fall. A wise decision that is going to pay off in a big way. By falls end, Dorothy was playing with real confidence. She had some shining moments this fall. She will rebound and give Manasquan a competitive physical player. She will get them tough baskets and make a real stand on defense. A future ALL SHORE PLAYER. BROOKE HOLLOWAY is a much needed point guard. She has proven she can bury three’s and can handle the ball vs pressure. Before the season is over she could be as important as freshman in the Shore. She has quick feet and is already a hard nosed defender. As her confidence grows you are looking a real talent…she has D1 written all over her in time. Don’t be surprised to see her name on the ALL FRESHMAN TEAM roster at the end of the year. … she presents endless possibilities. There is no secret to the game plan. Lola Mullaney and Faith Masonious will need to score a lot of points. Both will need to get in the 20’s on most nights. Annie Makos will need to fill in the loose ends on offense, double figures would be a nice start. They will have to become an elite half court defensive team. Extending the floor against top teams is risky. First Mullaney and Masonious cannot get get into foul trouble and must have energy late in games. The three freshman are desperately needed. They will give MANASQUAN a real bench and lots of energy. FAGAN has been god sent and should be able to handle any point guard issues that may arrive. The first question is who is playing the point guard position and how long is MACI BLACK out for? FAGAN looks like choice#1. Next who is the 5th starter? This is important in a division this talented. What’s the game plan for the the many box in ones and tri angle that are certainly on the way? Can Mullaney and Masonious play defense without fouling? Next can the freshman give them real minutes in real games? The bench virtually has no experience on it. Where is the defense coming against elite offensive teams? You really want Mullaney and Masonious guarding and chasing the oppositions best players? But everyone knows the big question of all….HOW DO YOU REPLACE DARA MABREY? St. ROSE is be the deepest team in the Shore. They also have 2 ALL SHORE players both are transfers. They have two players with real crush time experience returning and one who was a prime time player. They have a Point Guard is has a motor that is bigger than anyone’s in the Conference. They have a talented freshman with size and athletic ability. 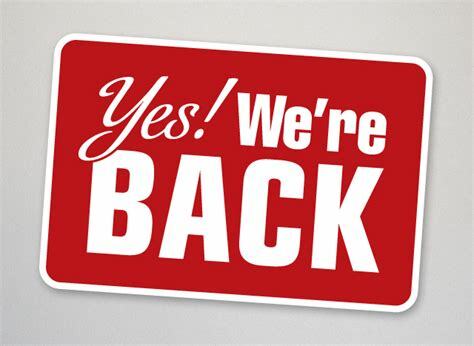 Finally with 4 -6 D1 players on the roster and a bucket of big time role players. They have the person, they want to put it all together in place, Mary Beth Chambers. Chambers will have little adjustment returning to high school basketball. She has Coached at the highest level of AAU and coached and more importantly developed a number of stars. She and her daughter both attended St. Rose and won SCT’s . Her team will be one of the most prepared teams in the state each night. She also added former D1 asst Coach Bob Dubina to her staff. St. Rose has all the boxs checked from a basketball standpoint. This team lost a ton from a year ago. The 4 players they lost were all mainstay’s and won so many games and titles, inculding a SCT, that they must be considered one of the best groups in recent years. Loving Marshicano(St. Joes) Lucy Thomas(Monmouth) and Mikayla Markham(Coulumbia) all moved on to D1 basketball. Taking with them, points, rebounding and major experience and most importantly MINUTES. Ari Dilia is currently having a dream season at Bates. Her toughness and big game ability will be missed. was suppose to be a star the day she set foot in St. Rose. But St. Rose is a little different place than most. They are deep in talent and many talented player have had to wait there turn. Last season Lithgow turn game and she delivered and in big-time fashion. The future West Point guard showed what we all had been waiting on for two years. An explosive guard with the ability to take over games as she did against the best of the best last year. Her show stopping performance against LUHI and RBC in the state tourney were just examples of what she was capable of on a nightly basis. She averaged just under 10 points a game, had 1.2 steals game and 44 triples…ALL OFF THE BENCH. She had 21 games of 8 or more points. She is the only returning true scorer on the ST. ROSE roster with true grit winning time minutes. She will need to bring her A game this year. Look for her to slid to the point at times. She is a top defender and a ALL SHORE CANDIDATE. She will serve as one of the Tri Captains this year. Sam Mikos- Sr– She is a blue collar worker who will need to buy into the new system from day one. She is a returning player who started and played major minutes last season. She is a defensive warrior and has done all the dirty work in the past without any fanfare. She is a smart, willing passer and rebounder. Her stats do not show her value. She has made big plays and has been on the big stage. She will need to bring all that and more to the table this season. She had 11 points and 6 rebounds vs Nationally ranked LUHI and 11 points and 4 rebounds against Top 20 Manchester last year, proving big games do not scare her. She will be a captain this year and her leadership will be valued. Maggie Stapleton-Sr– She is in the best shape of her career. Injuries slowed her last year. But she still showed an ability to bury jumpers and pass the ball with at a high level. Last year, she played spot minutes and was a role player. This is year expect her to take on a bigger role. She has shown a high level IQ and more importantly a willingness to expand her game. This fall she showed a rebounding ability and more importantly a real commitment to defense. She will be a Tri Captain this season and has been around and seen a lot of winning over her time at St. Rose. She has had double figure scoring games in her career and now with expected extended playing time, look for her 4.4 scoring average to grow. Allison Darcy- Jr– this is a player that will have high value to this team. Coach Chambers puts real value into screeners and passers. This is a player that will do both very well. She will rebound and play any role asked of her to play. She has a high IQ and is a total teammate, something that will go a long way with this group’s chemistry. She is an excellent defender in the post. She is a asset that many will not understand until the season heats up. Kitty Murphy- Jr- She may be the most interesting player on this roster. She saw limited minutes last year. But she has a willingness to work. She is talented as in D1 type skill sets. She is a more than reliable shooter and ball handling. All the skills are in place except experience and opportunity that has been lacking in her time at St. Rose. She will need to move her exceptional skill sets to games now. She has played behind multiple D1 guards over the years. This year she may be used as a back up point guard and shooting guard. She is a hardnosed defender and more than anything else, not afraid to give up her body. She could be a big surprise for St. Rose. 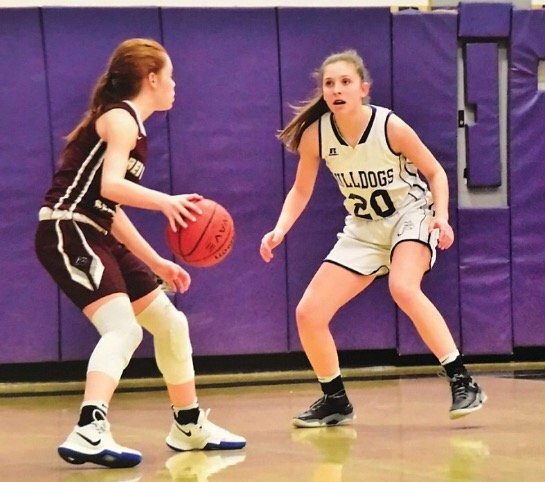 Maureen Stapleton–Soph- It’s almost amazing how we have forgotten how talented this young lady is on a basketball court. She is one of the best 2021’s in the shore. She is a big time shooter with size at 6’0″ and is an elite passer right now. She has changed her body and is in great physical shape. She is capable of having big nights this season. She is a underrated rebounder and ball handler. Amazingly when we talk about great 2021’s we rarely bring up the future D1 talent. The word is that she lived in the gym this fall and expect a big year from the Maureen this year. She is a player that can give St. Rose a major edge over the competition. Abigail Antognoli- Soph– She may be the one player that St. Rose cannot replace. She is the only true point guard on the roster. Last year she was role player who played important minutes. She is relentless defender and word is this fall she has taken her game to another level. She will move into the starting lineup. She had a strong fall and showed that she ready to take over the court leadership of the team. She is one of the best on ball defenders in New Jersey. Her energy level is unmatched. She is one of the very best in transition at getting to the rim or finding her shooters. This year the future D1 lock may be the straw that stirs the drink. Last year she average 5.2…1.7 and a whopping 4.3 rebounds a game. She will blow those stats out of the water this year. Now that Coach Chambers will turn the team over to her. Makayla Andrews- Jr- She is not eligible until January. The Neptune transfer is already one of the best in the Shore Conference. She was named to the All Freshman 1st Team and an ALL SHORE last season. She was nameed the Divisional Player of the Year, last season. She had multiple 30 point and 4o point games last season. She averaged over 20 points and 9 rebounds a game. She lives at the free throw line, averaged 6.3 free throws a night. She is a elite offensive rebounder and future high major D1 player. 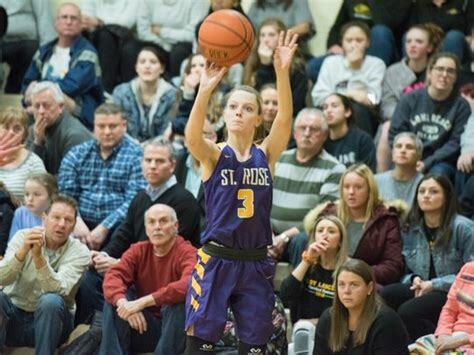 Once she returns to the lineup St. Rose becomes a powerhouse on offense. One of the best players in the Shore Conference. Maria Tedesco-Jr- She spent 2 years at SJV and practiced against a high level type player, everyday. She clearly is going to bring a positive attitude and work ethic to St. Rose. She also fills in the blanks for a lot of holes at St. Rose. She can defend in the post, rebound in traffic and set screens for their shooters. She is going to play a pivotal role come January. Any scoring she brings to the table will be a added bonus. Layla Laws- soph– She could easily be the biggest surprise of the transfers. No player this fall has seen their stock and game rise more. She is a big time athlete and has next level quickness that is missing up front for St. Rose. She has the potential to be a big time defender and rebounder. She is a reliable three point shooter and has a lighting first step off the dribble. 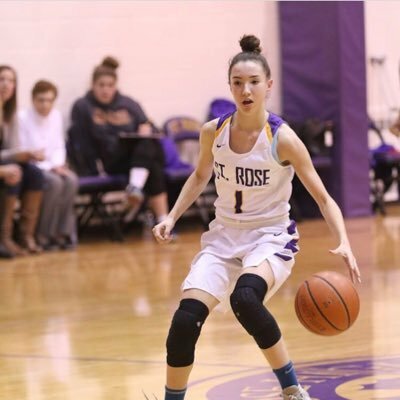 She will make St. Rose deeper and more importantly more athletic….this could be the surprise player in the entire division. Brynn Farrell- Jr– Shore fans are in for a treat. She is an explosive scorer who can score at all three levels. She can knock down the three, get to the rim or pull up for the mid range jumper. Then she can also get on the offensive boards. The is a serious athletic scoring physical wing player. This fall she showed flashes of what’s sure to come in the shore conference this year. She is a reliable ball handler and willing passer. Once she makes the adjustment to the level of competition in the Shore Conference, she will become a All Shore type player. She is a massive pick up for St. Rose. She averaged 31 point last season for Metuchen high school. She will not approach those numbers this year. St. Rose would be very happy with half that. She makes St. Rose a Top 10 team in the state and SCT contender. 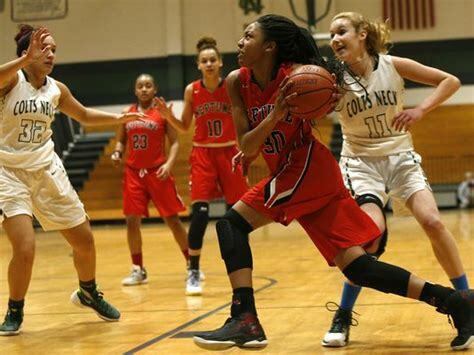 If she becomes a defensive force, watch her….PLAYER OF YEAR TYPE. Mary Donnelly– She could one of the best babies in the division. The question is can she adjust to the pace of the high school game. She is athletic and quick to the rim. She is physical and plays with real toughness. This fall at times she looked like she was ready to make a real contribution to the lineup. Her coaches, teammates and fans are all excited about the possibilities. she could be a future star in time. No team will benefit more, from the start of the season. The more time they are in the gym, it will isolate them from negative talk and distractions. This team has everything and checks ALMOST every box. They have shooting, size, ball handling and quickness at every position. 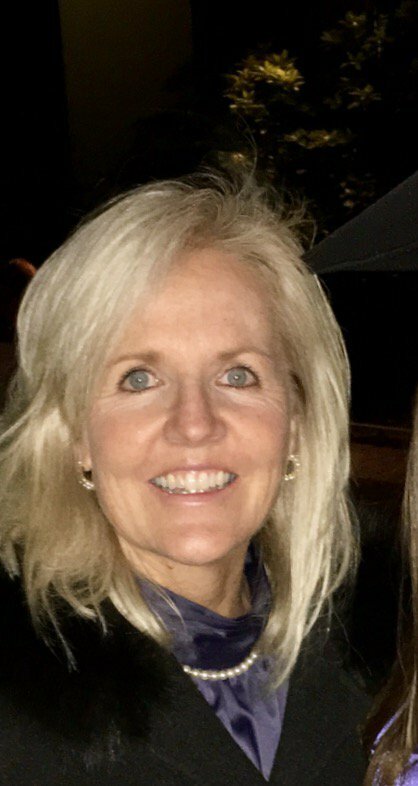 Mary Beth Chambers is a master at developing a team concept. She is the perfect coach for a team so rich in talent. She will make them think as a group and not play for themselves. They will no question the ball will be in the hands of Abby Antognoli who will need to grow up in a hurry. She must go from talented role player to prime to player. Lauren Lithgow, Brynn Farrell will be expected do the heavy lifting on offense, until Makayla Andrews becomes eligible. 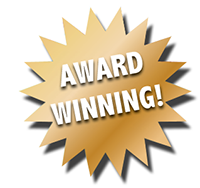 But make no mistake the Stapleton sisters and Mikos will chip in …in a BIG WAY. This team has lots on balance on offense and defense. Their is no doubt Coach Chambers and Bob Dubina will make this a defense team first. The schedule is simple stacked. They may play the best schedule in the state when you throw in the conference schedule. Something St. Rose fans have been begging for years to happen. After January this team becomes one of the most talented teams in the state…top to bottom. Anything less than a SCT Final will be a disappointment. They will start the year ranked in the Top 10. There is no question chemistry and the disease of me are the things that can go wrong. Coach Chambers teams are known for sharing the ball and setting screens. Whose setting the screens and will they be unselfish. 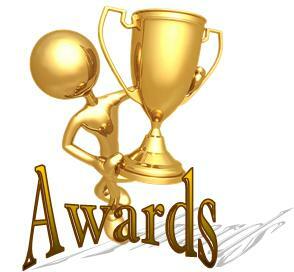 Parents, playing time, points, media love and personal awards are all things that could get in the way of this team. This is the toughness job in the state off the court. Next, who is the backup point guard this season? Abby Antognoli is the one player this team cannot afford to lose for this reason. 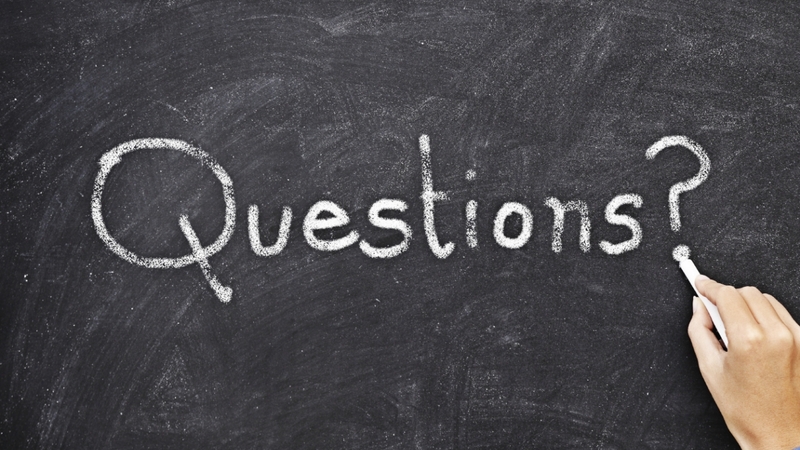 What happens when the transfers become eligible? 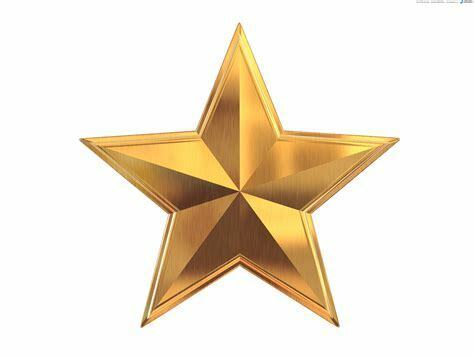 How do to get moved into the rotation and how will it affect egos and more importantly Parents? This my friends is a tough job. Coach Chambers will need to use all her communication skills to make things work after January…GOOD LUCK! RBC has by far the best young talent maybe in the state. Now the question is can they jump a year ahead of schedule. They have one of the best young point guards in the state. They have one most recruited juniors in the state. An elite shooting senior and what many believe is the best freshman in years to enter the shore. Joe Montano, is one of the best coaches boys or girls in State history. This team has no less than 6 D1 players on there roster and a bucket of college level players. Julia Setaro- Sr.- College coaches are in a war for her services. They are very smart, because she is the most underrated player in the division. She is the most important player on the RBC roster. She has hit big shots along the way and knows the RBC way of doing things. This fall she was one of the best players in the fall league. She also showed her leadership skills all fall. Last year she was a major weapon off the bench and in some of the biggest games of the year came up big. She is a big time shooter, but her stats don’t show her defensive toughness and competitive edge. She is a gym rat and is constantly trying to improve her game. She is well liked by teammates and slips easily into a leadership role. She will not take bad shots and not concern herself with stats and rather with helping her team win. If the fall was a message it was this. She is willing to out grind everyone and be the go to player for RBC this up coming season. She will need to become the drive and kick player KATIE RICE was for so many years….ALL DIVSION IS IN HER SIGHTS! Fab Eggenschwiler- Jr- She was named a junior captain a very rare thing at RBC. She also is one of the most recruited juniors in the 202o class. She spent last summer playing for the Swiss National team. She has improved in just about every area of her game. She has gotten stronger and that has made her a better rebounder. She continues to be a deep three point threat. Finally, her passing skills are 2nd to none. She gives RBC another player who is unselfish and will not care about Stats and rather about winning. She is a defensive matchup for anyone regardless of their talent level. She is the rare female shot blocker and more importantly one of the best help defenders in the state. She needs to have a monster year on the boards for RBC. Shaeyln Sabino- Jr– She could surprise everyone this year. She has stepped up game 100%. Starting with the physical change of her body. She is in top notch shape, and runs the floor with ease these days. But its the ball handling and ability to get to the rim that has surprised most. She has become a reliable shooter and defender. She has a big body and that will give RBC a real presence in the paint. She takes cares of the ball and clearly gearing up for a banner season. She could be the player that gets RBC over the top this season. If she provides rebounding on the defensive boards this year. She fills a real hole for RBC this season. Shaelyn will be one of a group of players looking to fill a starting role. Nicole Stanford-Jr- One of the most improved players on the RBC roster “the Brain” as she is known took a major step this fall. Stanford has gotten stronger and more importantly has been a varsity player for 2 years. The RBC system is ingrained into her at this point. She showed she can score and rebound this fall. She has showed not only can she defend on the ball but off the ball as well. She can shoot the ball to 21 feet and before the year is over could be another RBC surprise. She will be in the hunt for a starting position. Any rebounding she brings to the table will be welcomed in a big way. Grace Wilson- Jr- She is a warrior or warriors. She may not look the part but she is every bit of the part. She rebounds against bigger more athletic players. She is hungry and aggressive. She can step away and knock down shots. She is willing to give up her body at all cost. Floor burns and hustle plays are nothing to new to her. She will defend in the post and be physical. She will make opponents earn everything and anything. She could be a sleeper weapon for Coach Montano because of her energy and never say die attitude. Antonia Panayides- Soph– She is the most improved player maybe in the entire conference. She is a future D1 lock and brings real toughness and aggressive to the RBC team. She is a tough defender and has come around as a shooter. She will knock out three point shots with real confidence this season. She is an excellent ball handler and makes the extra pass and has excellent shot selection. She can push the ball in transitions and make plays for herself or teammates. She was outstanding this year in the fall league. She played the very best competition during the AAU season. Sophia Sabino- Soph- Some believe she is the most complete baby point guard in the entire state. Currently she is a walking bucket. She was that rare freshman starter at RBC. She was on the all freshman team and currently one of the most recruited players in the shore. Her vision is the best I have seen for any guard I have seen in recent years. Nobody is better at passing the ball ahead for easy layups. 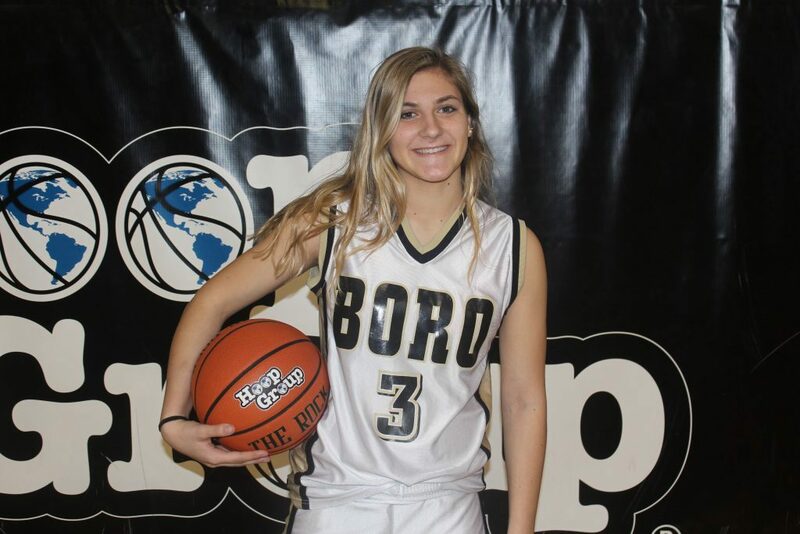 She is elite behind screens, her 24 point performance last year against Manasquan was the high mark for any freshman in the state on a big stage. She will have the ball in hands once again, with a ton of experience in her back pocket. She is the key to engine for RBC and will make a run at All Shore this season. She may be the best defensive point guard maybe in the state. Ally Carman the 6’4” post player has seen her stock rise all year. It’s why she already has multiple D 1 offers on the table. She has elite hands and score with her left or right hand. She had major moments in the fall league. She is that rare gym rat who is a post player. She is an excellent rebounder who excels at throwing the outlet pass. She will fight for a starting spot as a freshman. She has chance to be the best post player in the state one day. This is a young talented group that has a lot of experience. They also a returning group who have all played on big stages. 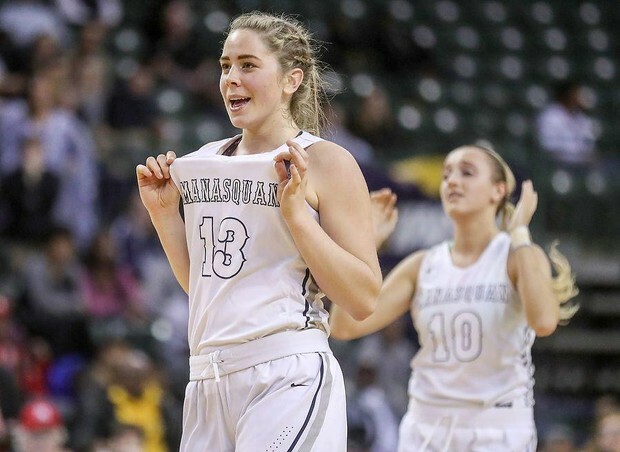 Fab Eggenschwiler and Sophia Sabino return as starters Now the question is where they go from there, everyone else was a role player last year. The one thing everyone knows that they will play great team defense and share the ball. They surprised everyone in the fall. They showed a real ability to score and more importantly get good shots. Justine Pissott and Julia Setaro gives them two legit 3 points shooters. The bench while not full of superstars are as reliable as any bench in the shore. 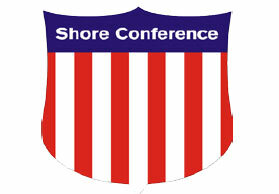 Look for RBC to be in the Top 20 and T0p 5 in the shore conference. But more than anything else remember who is coaching this team….JOE MONATNO. There are some real concerns, none bigger than who is rebounding in traffic. Team foot speed is another issue nobody is discussing. This team does not win 50/50 balls and in this division that is going to big in close games. Next who is the backup point guard for this team? Finally, the lack of experience on the bench jumps off the bench. The level of competition in the division will not lend well for players learning on the job. Finally where are the unscripted points coming from and if they get off to a rough start…then what? This is going to be a true test to where the RFH program is going. When Coach Sourlis retired many believe the program would sail off into the sunset. But Dave Callahan had other thoughts. He upgraded the schedule and threw his team to the wolves and if not for two year of bad luck. RFH would have another state title and SCT in their back pocket. The mystery call for Dara Mabrey and last year, Tori Hyduke going down with a season ending injury basically. Now Coach Callahan will have his back to the wall. He has a group of returning players who all will be asked to step up and do more… way more than a year ago. Replacing Tori Hyduke and Mikaela McGravey will not be replaceable. Tori Hyduke before her injury was the best player in the entire state. McGarvey spent most of the year injured last year and RFH truly never found a way to replace her. Grace Munt- Soph– She better get a pair of sunglasses because her future is bright. She has been relentless in her pursuit towards greatness. She has lived in the gym this fall against the best of the best. The future D1 player and All Shore player will be asked to help carry a team at such a early age in a conference of killers. She will not have senior support that others in her class will have. She will need to at times not just carry her team but play multiple positions on defense and offense. She will need to be in the best shape of her life…and she is. She has developed a deadly jumper and improved her ball handling to the point if asked to can play the point. She moves without the ball, and is an elite passer. She can defend in the post or at the three point line. She had moments last year on offense and defense. But she was a 2nd, 3rd and 4th option. 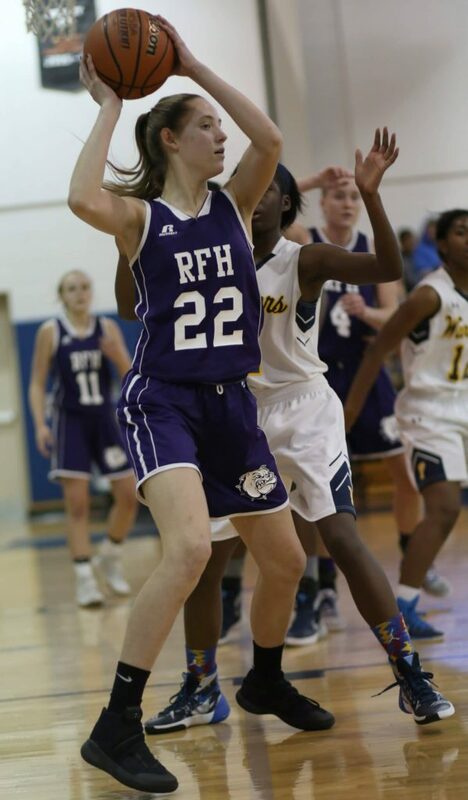 Now she will be a go to player for RFH and make no mistake, she will deliver…the question is how much will it take. Lucy Adams- She is one of the best players in the 2020 class. She also has gotten better each year in high school. She is a future D1 lock of locks. She has all the boxes checked. She is long, athletic, tough as nails and stacked with talent. She can knock down 22 ft jumpers, of get to the rim. She is as good as defender in the post as you will find. She runs the floor in transition and has hands from the heavens. She is a special talent and last year showed her explosive potential. last year her stats would match just about any sophomore on a top team playing real competition…10 points a game with 8.5 rebounds. Now throw in the shot blocking and we talking a big time player. She plays hard and with a real edge. She is a serious problem for anyone in the division. Sophia Passalaqua- Jr- She is tough as nails and more importantly has proven she can be counted on. She will compete and will not care who the player is or there reputation. She has proven she can knock down shots and defend. She has big moments a year ago on big stages. She has built a reputation as a pit bull defender. She played in the fall league and had nice moments. Despite being a two sport player, she found time to get in the gym in the off season. She will most likely more into the starting lineup. Cortland McBarron-Soph- She was one of the real freshman surprises for Coach Callahan, she has double figure scoring games and seem to improve each night. She is a shooter who will improve even more this season after a full season of getting major minutes. She is a two sport athlete who is ultra competitive and will add confidence and toughness to the RFH lineup. Chase Boyle- Soph- She was another sleeper find last season who is back for another year. She is a player who will do dirty work. She her 10 rebound game last season. She finds a way to score and more importantly plays hard the moment she hits the floor. She is another 2 sport player, who found ways to get in the gym in the summer. Look for her to build on a season from a year ago. She got quality minutes last year, so she will be ready to play in the new formed killer division. Maggie Ryan and Biz Kelly both are seniors that can shoot the ball and provide depth to the roster. Both will counted on to provide real leadership to the younger players on the roster. RFH has a group of talented babies who will all play roles this up coming season. If any are capable of adding ball handling, it will be welcomed with a smile. Charlie Rosen could be a lifesaver for RFH. She is ultra fast and plays with a serious energy level. She will get a crack at the point guard position. She has an excellent handle and see’s the floor. Despite being undersized she is a tough on ball defender. If she can become a reliable shooter RFH will have their point guard. Kaila Scarpa make no mistake, she is a impact freshman. Once she settles into playing high school basketball, she will surprise everyone. She has size and strength. She is quick to the ball making her an excellent rebounder. She is physical and played a ton of basketball this fall. She has a chance to surprise all. Grace Collucci is a talented freshman. She has real quickness and a nice IQ. Don’t be surprised it Coach Callahan throws her into the fire and see’s if she is ready. They play a killer schedule again this season. They conference schedule really should be enough. But RFH also plays Gil Bernard, Staten Island Academy and Middletown South. All Top teams in the area. Expect Grace Munt to be a jack of all trades. She most likely will play every position on offense and defense. Lucky Adams along with Munt will carry the scoring. But this team has a lot of scorers and shooters. So look for everyone to chip in. Expect better ball movement and sharing of the ball as a group without Hyduke. No one player will dominate the ball. The are all excellent athletes so they will rebound as a group. But Lucy Adams will give them an elite rebounder, freeing up guards to get out and run. The schedule may prevent a Top 20 appearance but a Shore Top 10 is possible. The reality is this team is made up of two sport players. They also are lacking in gym rats outside of Grace Munt. No of the players outside of Munt train regularly against Top competition in the fall. Lucy Adams is the only player on the entire roster that played high level AAU. So it will take this team time, as in a few games to get going this season. The problem is the schedule. Four of there first 5 games? Manasquan, RBC, ST. ROSE, Gil Bernard. All will start the year in the Top 10 or 20. This is a serious concern for any Coach. Next who is playing the point. It just may have to be Grace Munt to start the year. To throw anyone else in against the competition they are starting the season out against, would be dangerous and risky for the long term..
HOWELL is a wild card in this division. Here is why, they have real talent and there is no question capable on any night beating anyone. This is a battle tested Group who are a year older. 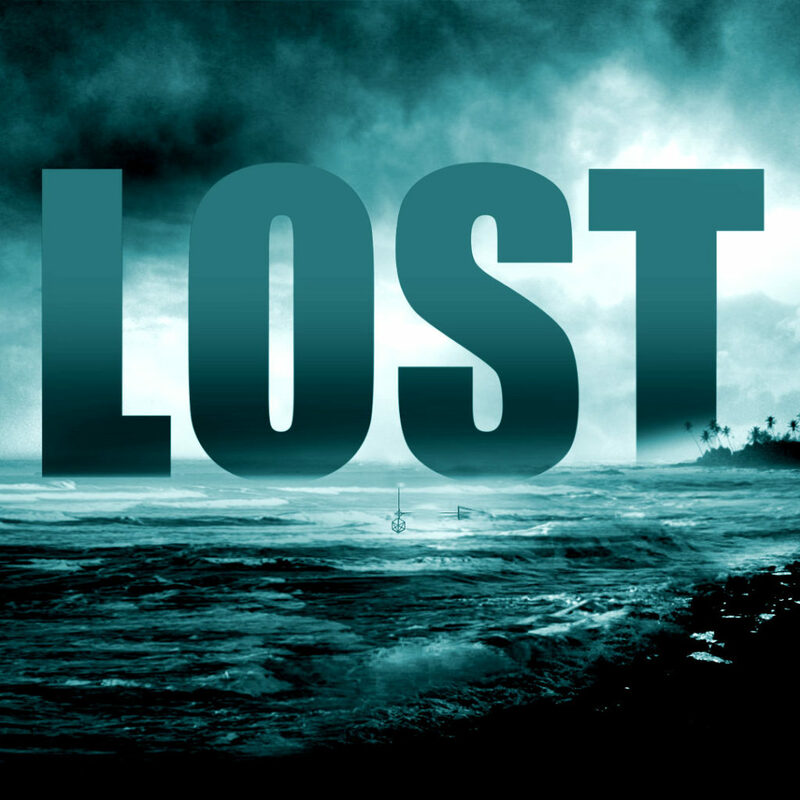 Losing Christina Antonakakis, was a big lost. But gaining so much experience a year ago should help make up some of the lost. Point Guard Carson Fontana is a seasoned performer. She is quick, with excellent ball handling skills. She has real vision and can score. She is a underrated talent. Leah Nolan continues to be the mystery women. She is strong athletic and has great skill sets. She has played top level AAU and is no stranger to big nights. She had 9 double figures scoring games and 16 games of 9 or more points. The junior is very talented and could have a real breakout season. Ryann Taylor, is a future D1 lock. She was one of the best Freshman in the Shore Conference last season. She is a deadly shooter and plays with a next level IQ . Don’t be surprised if she doubles up on her stats. She is a more than reliable ball hander and will be counted on to help on the class. They have a new coach in Darren Ault, who has been around the Shore for over 20 years. He has won everything as either a head coach or as an asst. Coach, most recently with SJV. He will have a nice gift waiting for him when he arrives. Abby Ferguson is one of the best Freshman in the Shore. She will start and give him a legit rebounder and a player who can finish at the rim. She will be a anchor for years to come for Holmdel and will make a run at the All Freshman team. This is a possible Shore Top 10 team and more importantly a serious spoiler. Folks there going to get somebody in that top group….BANK ON IT. They say to be the champ you gotta beat the champ. Newsflash nobody is going through this division unscathed . So the real question is, who is going to survive the long haul? I say RBC is way too young, RFH simply doesn’t have enough. So that leaves the two contenders ST. ROSE and Manasquan. St. Rose will play multiple conference games without there true rotation. They will play RBC and Manasquan once without there transfers(Farrell will play) at least once. How long it will take for everyone to accept and get comfortable with the transfers is another issue. ST. ROSE is built for the SCT AND TOC…MANASQUAN wins ..A CENTRAL. ← 2018-19 B CENTRAL PREVIEW…TRINITY HALL!